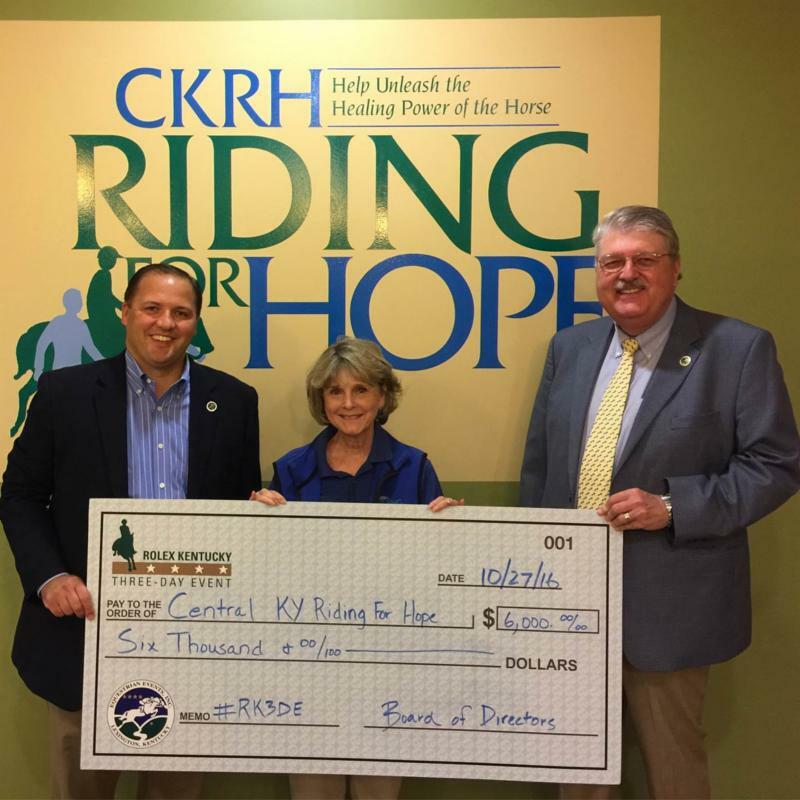 Lexington, KY – February 7, 2017 – Equestrian Events, Inc. (EEI), producer of the Rolex Kentucky Three-Day Event, has chosen Central Kentucky Riding for Hope as the official charity of the 2017 Rolex Kentucky Three-Day Event. Known as the “Best Weekend All Year,” the Rolex Kentucky Three-Day Event returns to the Kentucky Horse Park in Lexington, KY, April 27-30, 2017. “Rolex Kentucky” is one of only six Four Star Three-Day Events in the world and the only one in the Western Hemisphere. 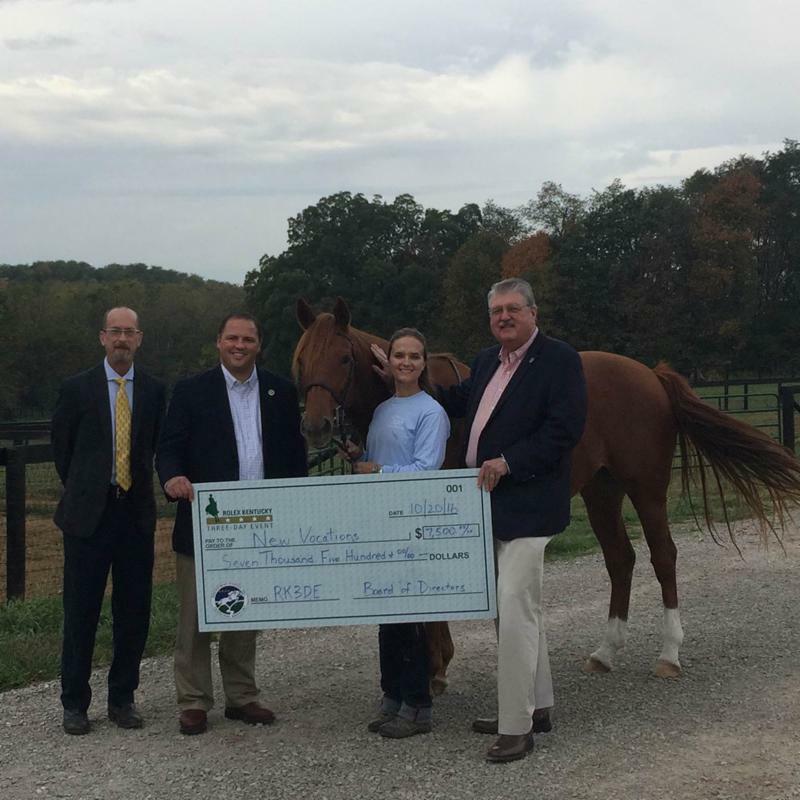 EEI closed out 2016 by donating nearly $75,000 to 16 charities that support local equine organizations and serve the Commonwealth of Kentucky – a $13,000 increase over the previous year’s contributions. For the 17th year, Kentucky Children’s Hospital received a donation from EEI. The Kentucky Children’s Hospital has partnered with Children’s Miracle Network to help bring the finest pediatric health care to children in the community and beyond. New Vocations is a non-profit organization founded in 1992, offering retired racehorses a safe-haven, rehabilitation, and continued education through placement in experienced, caring homes. New Vocations provides a safety net for these horses matching them with qualified individuals and following up on their rehabilitation and vocational training to ensure a successful transition. More than 6,000 retired Thoroughbreds and Standardbreds have been placed in qualified homes through New Vocations’ efforts since its inception. Midway University is a private, non-profit, liberal arts college that was founded in 1847 by Dr. Lewis L. Pinkerton, as the first school in the United States to serve orphaned and disadvantaged women. The school has evolved through the years and is now known for its excellence throughout Kentucky and beyond in four pillar program areas – Business, Equine Studies, Nursing, and Teacher Education. The main campus day program still operates as Kentucky’s only women’s college and provides a unique learning and living opportunity for women seeking their associate or bachelor degrees. The Equine Land Conservation Resource (ELCR) builds awareness of the loss of lands available for horse-related activities and facilitates the protection and preservation of those lands. ELCR provides easy access to the information, resources and tools that help horse people take action. ELCR organizes the immense amounts of information about keeping land open for horses, provides it in plain language, and offers direct technical assistance to help people make a difference in their communities. 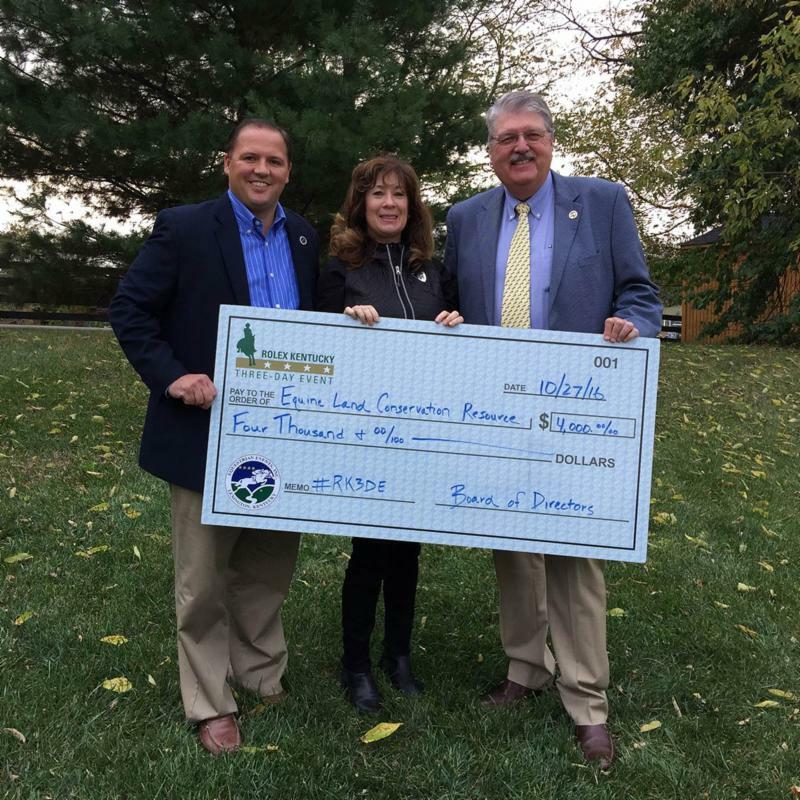 Since 2007, ELCR has assisted in the protection of more than 200,000 acres of land and more than 1,200 miles of trails. The American Diabetes Association is a leader in the fight against the deadly co consequences of diabetes and funds research to prevent, cure and manage diabetes, provide services, information. 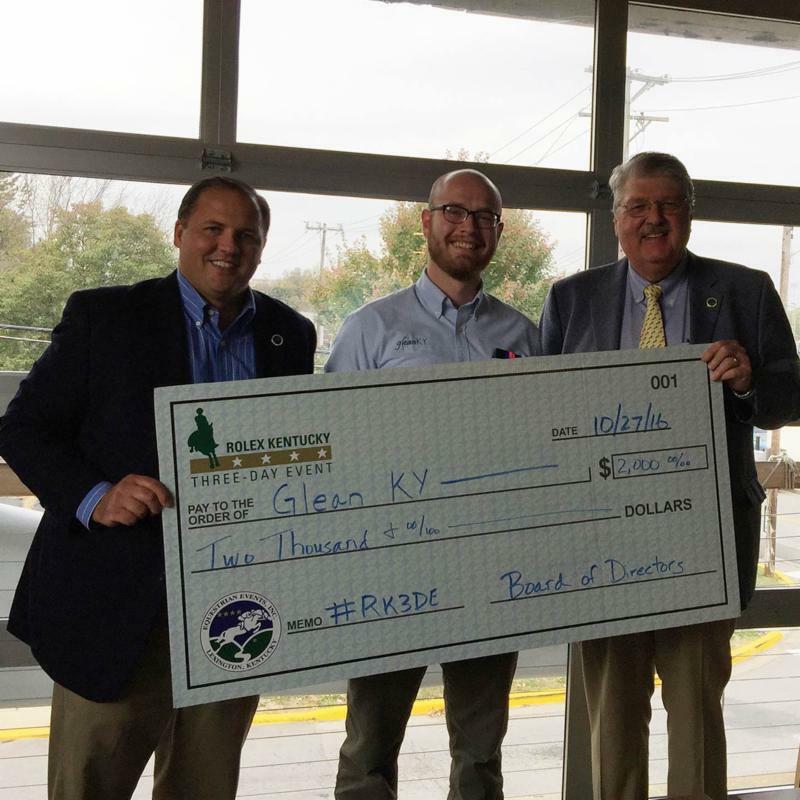 Glean KY was founded in 2010 by three individuals to help gather and redistribute excess fruits and vegetables to nourish Kentucky’s hungry. Recognizing both an opportunity with excess food and a large number of people needing food, Glean KY explores creative and effective ways to connect the two. Safe Haven Equine Ministries – Safe Haven Equine Ministries is a 501 (c) (3) non-profit serving young men and women ages 12-18 with emotional and behavioral struggles, through the use of therapeutic horsemanship and outdoor activities. KY Equine Humane Center provides a tranquil safe haven and shelter for horses in need while working to seek adoptive homes and provide second chances for Kentucky’s equines, regardless of breed. 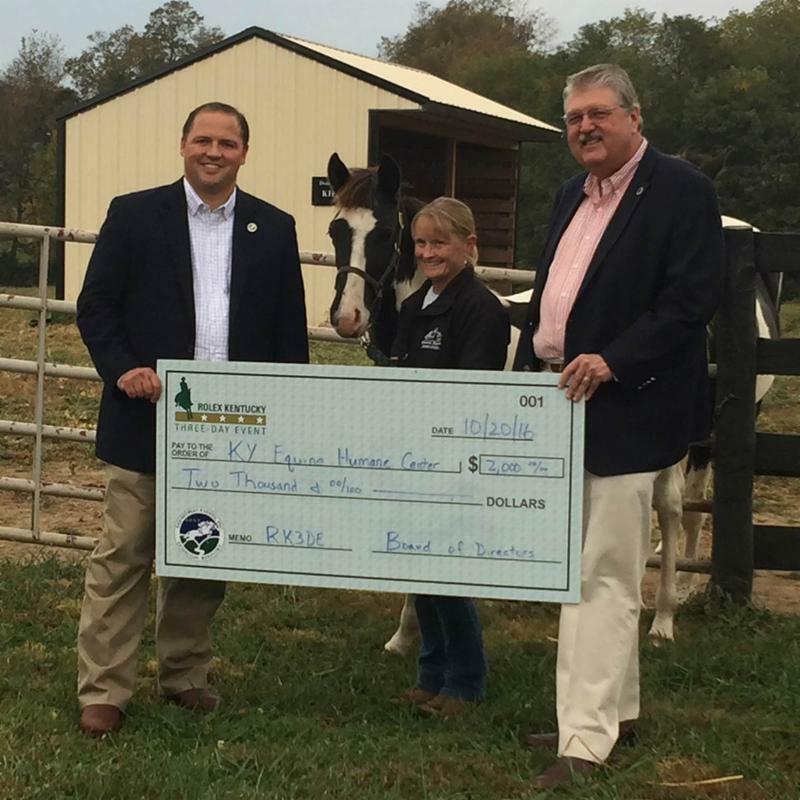 The KY Equine Humane Center works to help educate the public and raise awareness for responsible equine ownership. 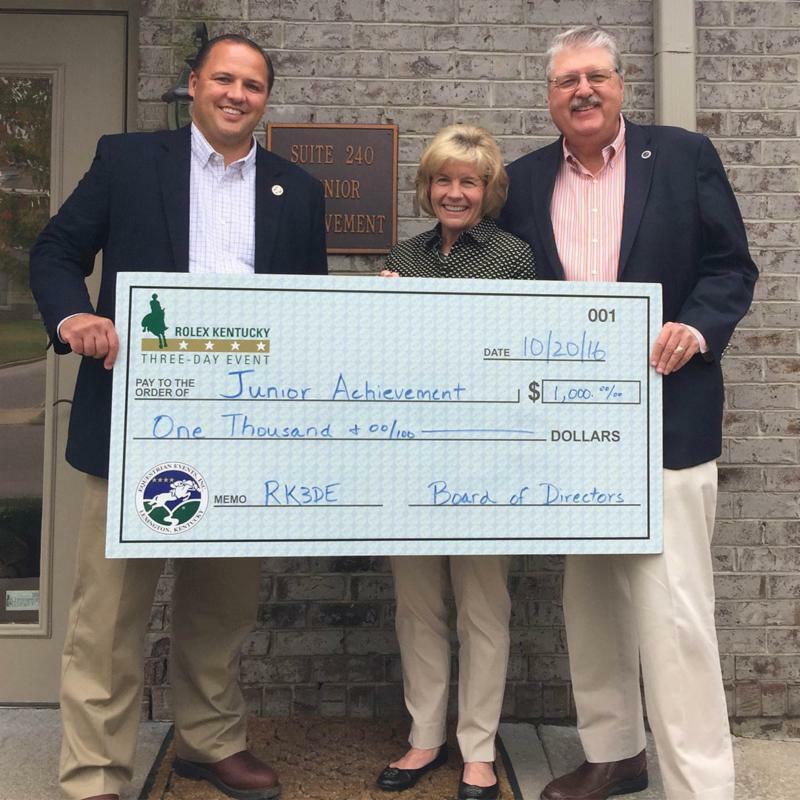 Junior Achievement of The Bluegrass, Inc. – Junior Achievement (JA) is a non-profit organization and the world’s largest organization dedicated to educating students about work readiness, entrepreneurship and financial literacy through experiential, hands-on programs. The program partners with volunteers fro m the community to teach elementary students about their roles as individuals, workers and consumers, and to prepare middle and high school students for key economic and workforce issues they will face. The Rolex Kentucky Three-Day Event is one of the world’s most prestigious equestrian competitions and features the world’s best horses and riders vying for their share of $400,000 in prize money as well as a shot at the $350,000 Rolex Grand Slam of Eventing, which is awarded to any rider who wins the Rolex Kentucky, Mitsubishi Motors Badminton and Land Rover Burghley Four Star Events in succession.